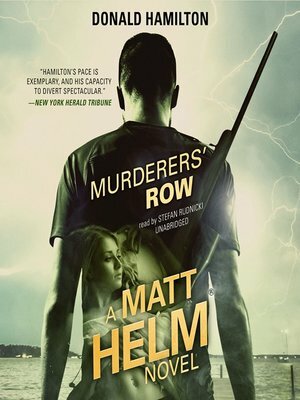 Professional assassin and counteragent Matt Helm has been given a distasteful assignment. He is to disguise himself as gangster Jimmy "the Lash" Petroni and assault a fellow agent in order to help establish her cover in a top secret operation. But things don't quite go according to plan, and now Helm must take her place on a dangerous mission. Alone in Chesapeake Bay, pursued by his own government, Helm must carry out an assassination—before his employers catch up to him.